Having a hand in the community means working with clients on all the things they love from family photos to their business. As a business owner/operator, I have come to realize how much branding and visuals are key to maintaining and growing a 21st century business. And even though the main focus of SMP is family photography, we also have solutions for your businesses whether it is a big business or your home based side hustle! Think of going to a restaurant, when you might read the menu titles and descriptions of all the food items offered but will the words translate as easily as a high quality photo? A picture really does say a thousand words, and in an era of constant information and marketing, it’s definitely more efficient to have a picture that will make your product or service stand out and pop among the rest. That’s why magazine’s will create the thing they want you to buy in a bigger block than the others or restaurants having the photo menu with the new items because when you see that steak salad with all the beautiful greens the words for the sandwich just don’t look as yummy. With the same steak salad on the mind, here is a recent photo I took for the Hilton Garden Inn in Watertown. Through the years, I have captured photos of their rooms, the chef, and their delicious menu items. All the photos have been used for their for marketing materials, from tv commercials, Facebook posts, to their billboards on Arsenal Street. At Sarissa Melissa Photography, we do a full range of business photography from headshots, profile photos for LinkedIn, or team shots for magazine ads. Two things about headshots. I shoot quick headshots so you can get your site photo asap. But if you have time, I love to recommend you bring something a little less formal, something fun that shows off your personality, and let me capture that because behind every perfect looking headshot is a real person and people LOVE that! Authenticity is vital in a world were we are receiving the same of similar message from multiple people. What sets you apart is YOU! I photographed these product photos of Sea Bags for The Gold Locker in Clayton. Sea Bags is a woman owned firm out of Portland, Maine. All Sea Bag products are made from recycled sails and hand stitched. On the day of this session I learned two things. Having beautiful photos of yourself not only helps with branding of your business, but it pretty amazing to see how others see your beauty. So if you are looking for a branding session, need something professional or something more on the fun side, call me and let’s chat! Sent the 5th of each month! Receive special offers exclusive to our newsletter subscribers, blog recaps, life lessons, & a sneak peek into what’s new! When education & collaboration come together you get focusED! It may be March and spring vibes are in the air, but let’s get real for a second. We live in the North Country and more then likely we will have more of the fluffy stuff. 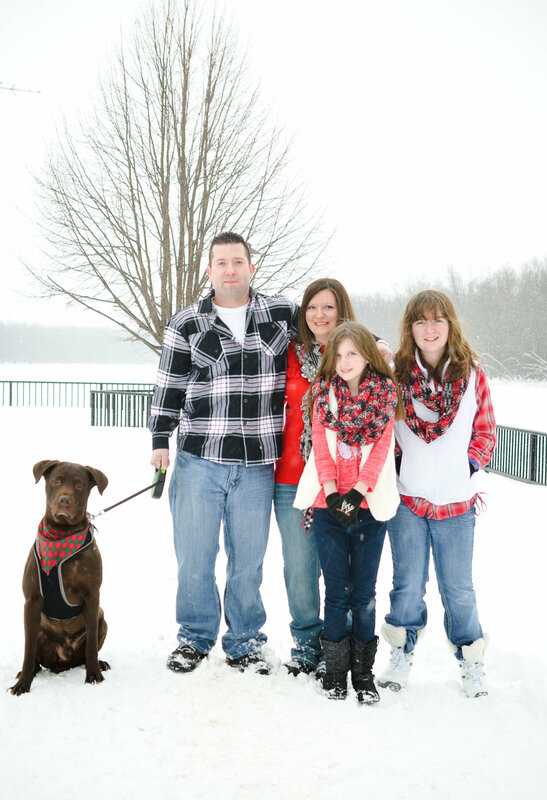 If you are interested in getting Winter Family photos check out these helpful tips! Location matters for any shoot. You may want a winter session at your own home , at the Carthage Bridge like in the photo above, or Downtown Watertown. Last week, I wrote a blog all about my fav locations for sessions! One cool thing about New York is our four seasons. I’ve had families that book sessions Winter, Spring, Fall, Summer to document the seasons. For my military families, they love documenting the changing seasons and their time in New York. If you choose to do this, please try to pick a location that has warm shelter nearby or has quick access to your vehicle. This will prevent kids, pets and adults from getting uncomfortable during the session. We don’t want sad faces in the photos! This is an important step, especially for outdoor shoots! No one wants to catch cold taking pictures. Indoor shoots protect against the elements but if you still want to capture those winter time vibes, consider wearing your favorite hat, fuzzy sweater, or snow shoes to get that special seasonal feeling. Photo shoots always go better with a theme! 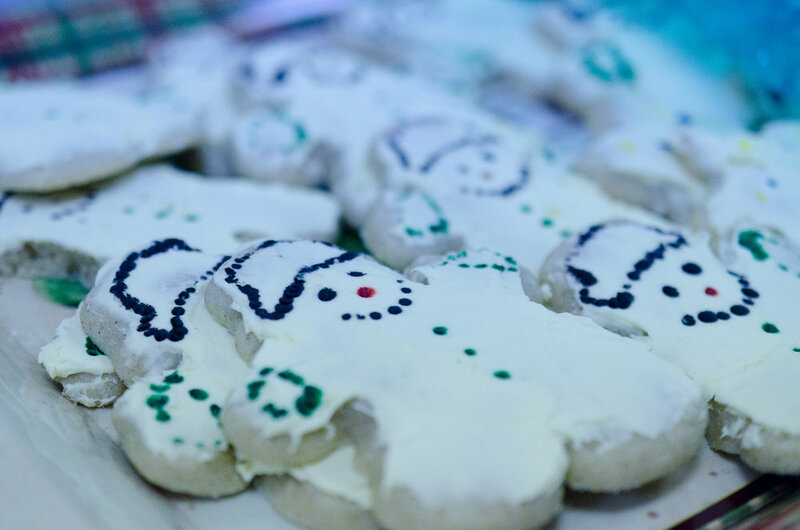 You can go for something fantastic and magical with a winter wonderland theme! You can get hilarious action shots with a family snowball fight or a jump for joy! In this shot, the family decided on pinks, reds, and black to have some coordination in their wardrobe. How about a family flannel shot with everyone posed in their favorite flannel? The options are endless! We all know how difficult and dangerous traveling during the winter can be up here in the North Country, so it is very important to drive safe on your way to and from the shoot. Try to schedule your appointment with a little bit of time to spare so you aren’t rushing to make it to the shoot. The roads are full of surprises and we want you all to be safe this season! If you decide to have your photo session Downtown Watertown, you can park at my studio and on your way home, you can stop inside for shelter and Hot Cocoa. If we are on location. I will often bring a thermos of Hot cocoa or I recommend to my clients to bring a warm beverage they love. My thermos will be filled with some sort of tea. My fav is Chai! Do you have any questions about winter sessions? of you some ideas for Sessions that are the right fit for you. There are many benefits in having your session in the studio. Firstly, we don’t have to worry about weather (unless a winter storm makes it unsafe to travel to the studio.) Speaking of winter, having a session in the studio means everyone stays warm and toasty. The best reason to have a session in the studio is the ability to plan out all the details of your session and get creative. From various backdrops, creative lighting, to making a stage for your little’s birthday session or newborn session. Getting creative in the studio also means taking your images, and turning them into composite images that look just like a fairytale! The Jefferson Historical Society (Paddock Mansion) is one of my all time favorite places to photograph families, seniors, models. The grounds keepers do an incredible job with the landscaping and care of the gardens. The best part is this beautiful location is conveniently located next door to my studio. It is also an ideal outdoor shoot location during months when the weather is unpredictable since there is shelter nearby. Some of the best shoots I’ve ever done have been in people’s homes. Sessions at home tend to be a more comfortable and natural setting especially for families especially the kiddos! Our homes are where we build our lives and grow our families, what better place to express your family’s bond than your own home? Plus a huge bonus… you’re setting will be absolutely unique to you! I have had the joy of photographing families at their home playing on the jungle gym, kids packing a box for dad who is over seas, and a mom snuggling up to her baby in a colorful tutu. This is a easy location to find that has plenty of room to roam about for photos! Thompson Park is ideal for clients with pets or small children. Plenty of space in the great outdoors and you can treat yourself to a visit to the playground or the Zoo afterwards! Thompson park is a great location all year long! It’s perfect for summer, winter and fall photos. Thompson park is a stunning location in the fall! 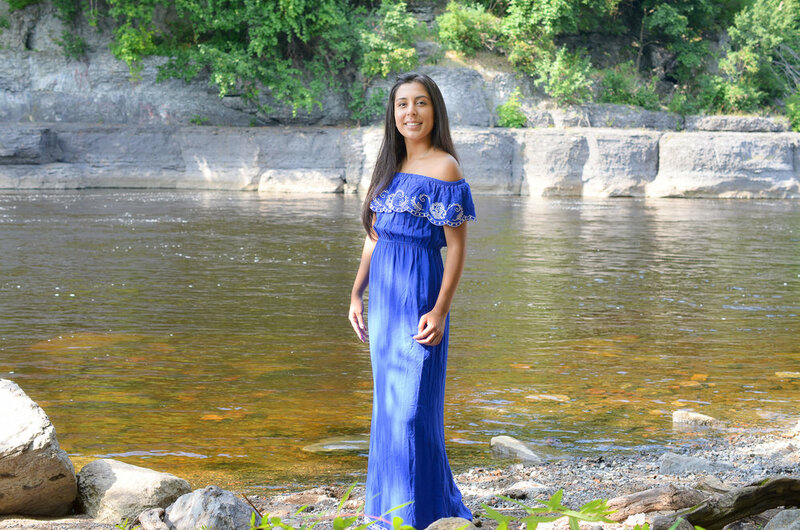 Downtown Watertown is an excellent area for photo sessions! There are so many historical buildings with great texture that will make the subject (you!) stand out! Places like the Paddock and Library provide many opportunities for amazing shots! And don’t worry about parking because there is plenty of parking at the Masonic Temple where my studio is located and downtown is a short walk away! There are little nooks and places I have found on my days scouting locations. From barns, to businesses, to little spots off the side of the road, I’m always exploring new places to bring my clients. So if you have an idea and want to go out of the box Iet’s chat and get creative! What’s your favorite place out of the top 5? Do you have any suggestions of places I should scout for sessions? Love is.. Awesome All Year Long! When I was a kid I used to get super pumped when we got a copy of the Sunday paper, just for the comics! My favorite comic strip was the “Love Is” comic. The “Love is” comic strip featured two cute characters in love. Artist Kim Casali created “Love Is…” when she drew little picture love notes for her husband-to-be. Seriously, how adorable! Click this link to check the archives and the latest Love Is comics! Love is in many of the portraits I capture and I’m celebrating with a few of my favorite and most loved photos. LOVE IS… celebrating your first baby on the way. LOVE IS… brother and sisterly love. LOVE IS… kissing the one you love. LOVE IS… Falling asleep in grandpa’s hands. LOVE IS… walking your dad home after deployment. Leave a comment with what Love is to you! Dressing up our son for his first Valentine’s Day. VIP List? Sign up below! After last weeks blog post I can’t stop singing “Return of the Mack.” I guess it’s better then having baby shark stuck in my head! In our last post, we talked about how we’re re-dedicating and re-establishing our business for the New Year. I thought this would be a great opportunity to share with you my Top 5 reasons I love (and might be obsessed) with being a photographer. A cool thing about being a family photographer is having client call you for their daughters 3rd birthday when you have photographed the same family photos since the baby was in mom’s belly. That happened this week! Last year, I did elizabeths 2nd birthday photo session two weeks before I had my son. I was determine to get her shoot in before giving birth. My studio is not far from the hospital so I wasn’t worried! Family has always been important to me but ever since marrying my husband and giving birth to my son, that importance has become more apparent in a much deeper way. The sense of meaning and purpose that family provides to me drives me to push harder, dream bigger and stay focused because I am no longer just looking out for myself. I am now part of a team; a special unit that as a whole is far stronger than the sum of its members. Now that my husband has joined me in the business, I feel stronger and more prepared to tackle any challenges that lie ahead. This deep and abiding love for my own family leads me to celebrate families wherever I find them. 2. Making Memories that will Last a Lifetime.. Hello Legacy Photos! My superpower is providing clients with products that capture them at this moment in time while giving them a fun and memorable experience. I want client’s to look back at the photos and remember when their purple haired photographer was singing to the kids to get them to laugh! You might be thinking, what the heck is a Legacy Photo?? I just made it up!! haha.. That’s the fun thing about owning a business. But in all reality, it does mean something awesome. A Legacy Photo is something you will have in your family for a lifetime. It’s a photo of your kids laughing, a photo of your mom, a photo of your son who just became a senior, it’s a photo of the ones you love! A Legacy Photo is a photo of 4 generations of family! When we miss our loved ones we don’t hug a hard drive or a cd, we pick up a photo and remember that day, that smile. I like my photos like my closet, colorful, vibrant and unique! I love creating images that sparkle and pop because I want to capture more than just your picture. I want to capture you looking and feeling your best! the most important color in my artist’s palette is joy! As a graduate from FIT, I always have my eye on fashion and color in my work. 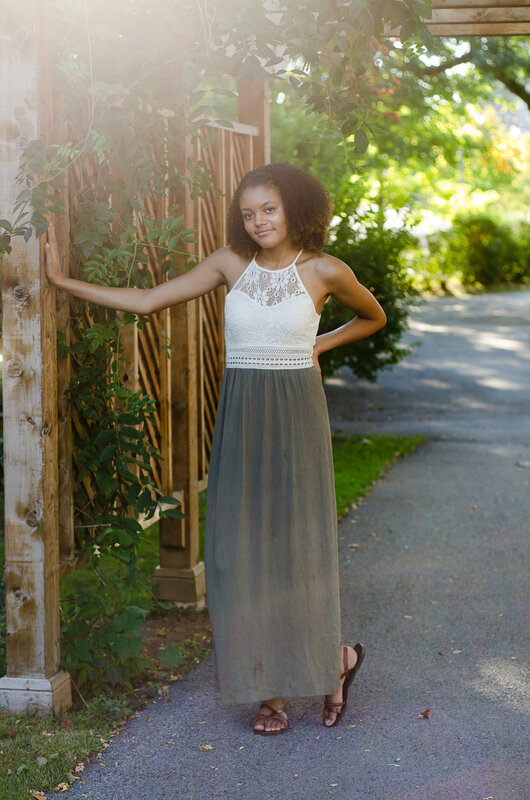 I enjoy working with clients to help them find the right wardrobe for their session or providing them with a list of great local businesses to shop! For some of my maternity momma’s, I create the look of a flowy dress with fabric from my studio collections. When it come’s to sessions, I get crafty! 4. Hugs! Because they’re awesome! Some of the most treasured things I take away from this business are the relationships that I have built with my clients! since I started in 2010, I have watched families, individuals and businesses continue to grow through the years in all sorts of ways. hugs were a big part of this session. I told the boys my light was magic before I hit the trigger. I always like to warn kiddos about the light. These little ones yelled in excitement every time I hit the flash, and then they would both run to hug me. Yup! Two hugs every time I took a photo, that’s a great deal! The last time I took the boys photos, they were itty bitty and I could fit them both in a wicker basket. Since I am a transplant to this area, these connections and clients have become a part of my extended North Country family and as I said before, family is everything to me. You know that saying, “it takes a Village to raise a kid,” I feel that way about business. Throughout the years, I have had the honor to work with some incredible local businesses from Rhonda’s Footworks, Anna’s Chop Shop Hair Studio, XL Design and Marketing, and one of my favs, Strut Boutique. The first time I did a Strut Boutique photo session I had Jason from Vidoeworx create a video of my process from start to print! The last session I did with Strut Boutique we did a maternity session. I modeled my bump for the session and my husband was photographer for the day. Whether it is a new skill in my craft, a new returning client or a new spiritual insight, I constantly look for ways to learn and expand my horizons. Every year I feel as if I have come a little bit closer to being the businesswoman, wife and mother I know I can be. I sincerely hope that you and your family will be a part of this journey, who knows what we can learn from each other! Want to know when the next blog post launches, receive our monthly newsletters, or get special offers exclusive to our VIP List? Sign up below! 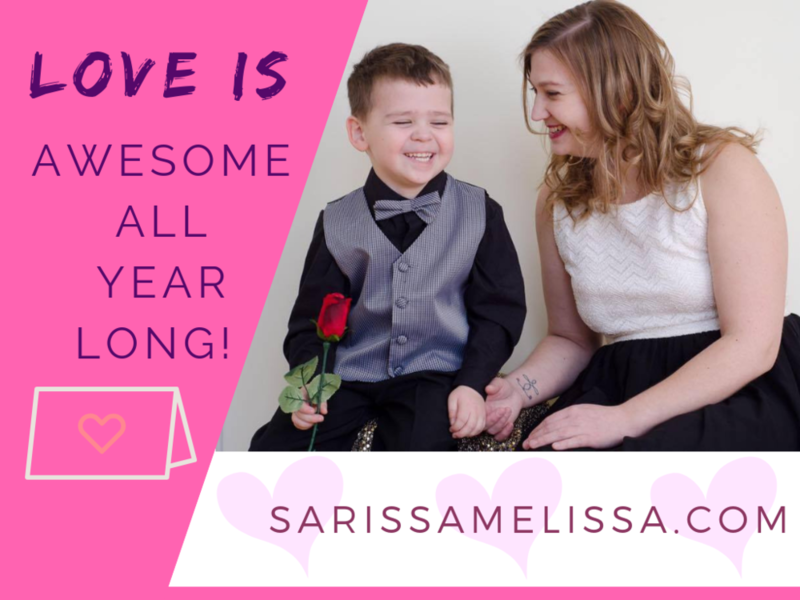 It’s a new year and at Sarissa Melissa Photography and that means new goals, new challenges and a whole new vibe. I know your thinking… umm Melissa, New Years was 25 Days ago. Tis true but our reason for the delay is that we have been hard at work reorganizing our business to better serve you. We have come to the realization that the main drive behind this business is family. Providing for our family and providing our clients and their families with beautiful memories and art. It’s kind of why we chose this date for the relaunch of the blog. Today, our baby dude officially turns 8 months! I now truly believe what my friends with kiddos mean when they say it goes fast. I feel like it was just yesterday he was a 6 pound noodle with a major serious face. So why did we choose to bring back the blog? This year, we have made it our goal and purpose to truly be YOUR family photographer and we plan on sharing stories from bump to belly, what goes on behind the scenes of a cake smash, How to plan for a family session, guides on what to wear for each season, and what’s new in our photo land from products to new services! Yes, we still provide other photo services but we want to dedicate this year to celebrating Families. We have expanded our product and service line to better serve your needs. In addition to our standard prints, we also offer prints on artboard, canvas, wood, metal, and custom designed wood easels by the Tousley Crew. We invite you this year to join us in celebration. It doesn’t matter how big your family is, whether you were born into it or if you found it, each family is unique and special. Celebrate what makes your family unique with us and we will not only provide you with pictures but also create beautiful, elegant art for you that will capture how special your family truly is. Sarissa Melissa Photography, YOUR family photographer. Dear Santa... All I want is a Mini Holiday Session! All I want from Christmas is a photo of my family and a hot cup of coffee that didn’t come out the microwave for the 3rd time. Yes, I’m talking to you busy mom and I relate. I write this with my preheated coffee and what might be drool or formula on my shirt. Busy mom, I want to help you out and capture your families photos, create a card for you, and help you cross one thing off your holiday to do list! I say busy mom not because I want to exclude anyone. I say this as a fellow mom and your holiday ninja friend. So couples, dad’s clients with awesome dogs, I’m talking to you too! If I don’t pick up right away, I’m probably hanging out with my little man. Leave a message and I will call you back. Decor in the studio by Pretty Little Vintage Co.